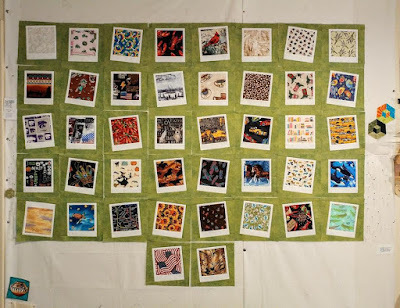 My local quilt guild, the Southwest New Mexico Quilters Guild has agreed to take on donating quilts to five different local organizations - They are that awesome!!!! 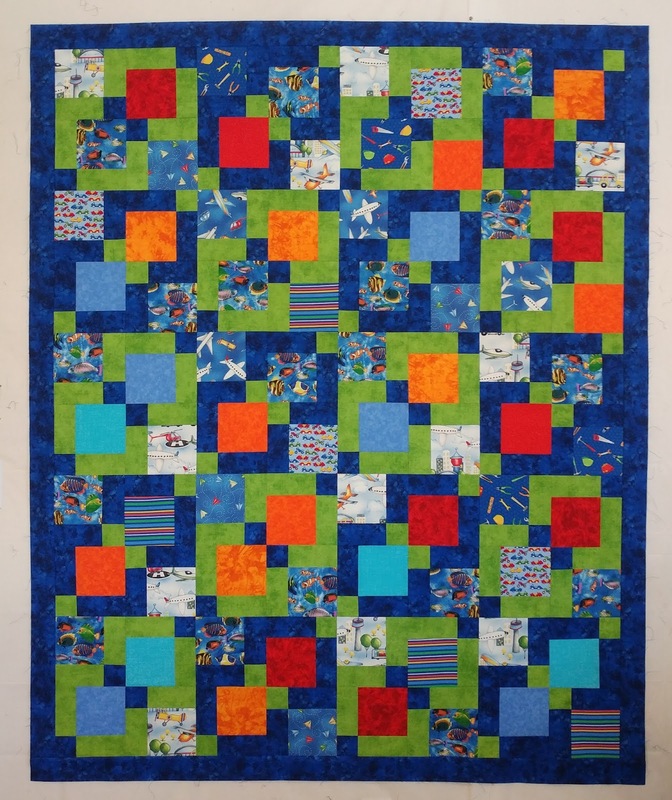 Even better, my local quilt shop, Aunt Judy's Attic, has been hosting a Charity Sew Days weekend - first weekend of every other month (January, March, May, July, September, November - 2019). For the March Charity Sew Days, I was going to be missing the first day - so I wanted something quick. I remembered I had helped pick fabrics from the color wall for an in-shop, custom made charm pack and there was going to be one left over. I decided to grab it up and have a go at making something out of it. 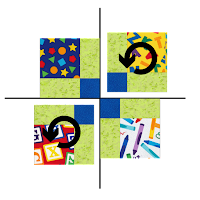 After some consideration I decided to go with making a Disappearing Nine Patch block. I purchased two additional yards to go with my charms. I decided to custom make my second charm pack with fabrics from my stash. I'm trying something new with my labels. I'm printing them onto Dark IronOn T-Shirt Transfer paper, cutting the exact shape out and ironing it on after it is quilted. I am just loving the way the label looks! 2 Charm Packs of varying print. 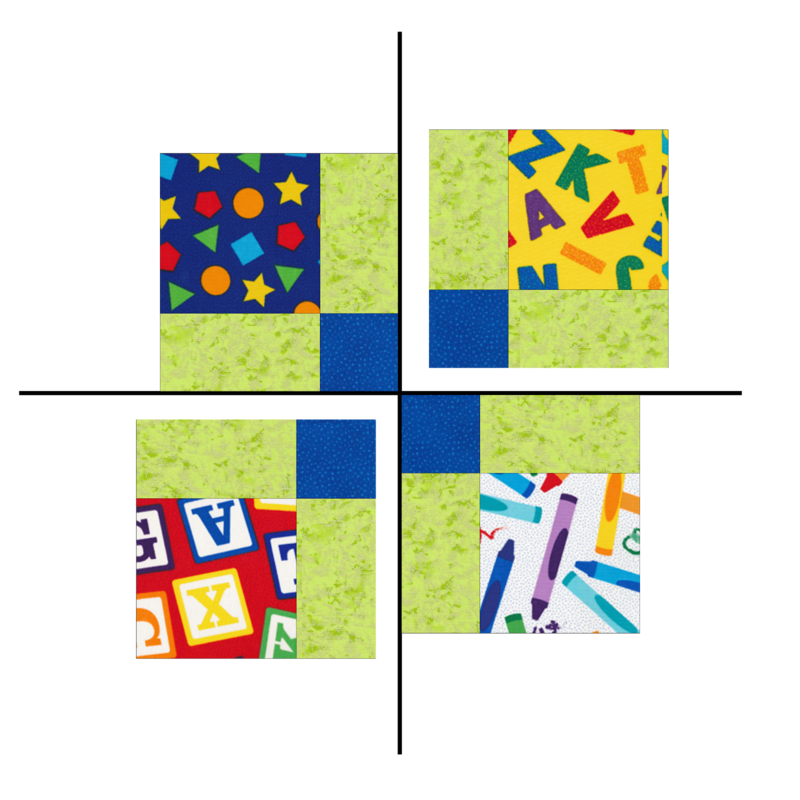 count: Eighty (80) squares, measuring 5" x 5"
sub cut into Fifty (50) squares, measuring 5" x 5"
17" for binding, if cut at 2.5"
Seam Sizes: Do a test Nine Patch using a 1/4" seam. Center Square should measure 4.5" x 4.5" when sewn. If not, adjust your seam size accordingly. 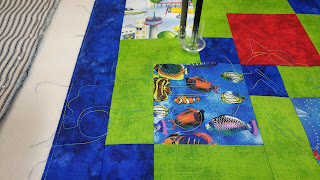 Using a rotary cutter and ruler: cut along both middles of each of the Nine Patch units. 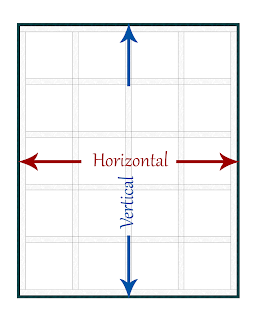 Each corner unit measures 7" x 7". Separate ONLY the Top Right corner and Bottom Left corner. Rotate ONLY the Top Right corner and Bottom Left corner. (total count of 20 units measuring 13.5" x 13.5"). 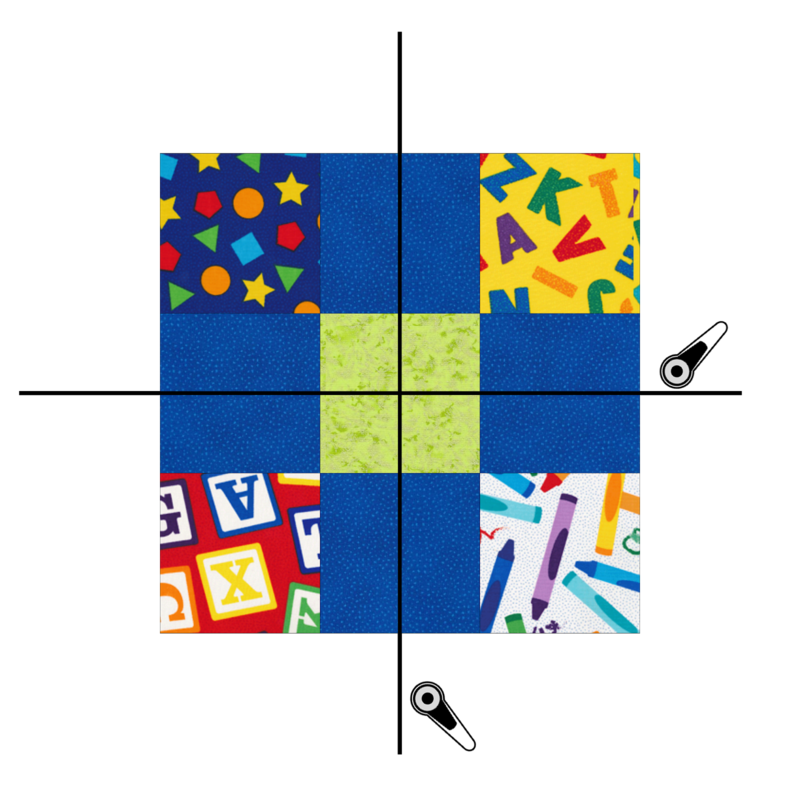 Arrange the twenty (20) blocks according to the layout below; alternate between using the green and the blue units. 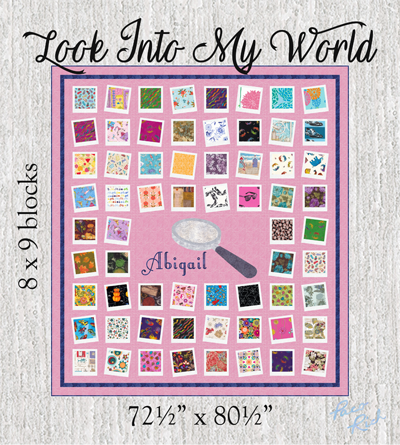 Quilt center will measure 52.5" x 65.5"
Piece together and sew on two (2) side border units measuring 2.5" x 65.5". Piece together and sew on top and bottom border units measuring 2.5" x 56.5". 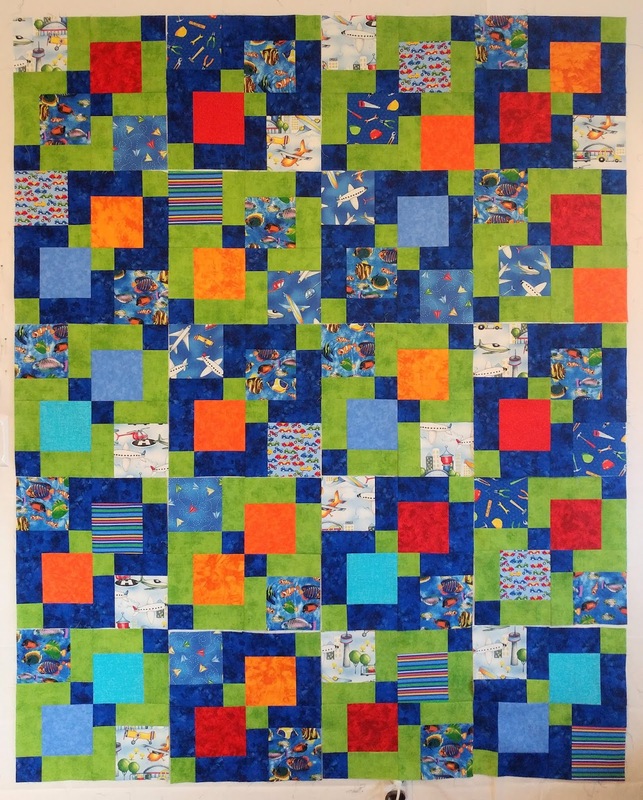 I hope you enjoy making this quilt as much as I did! If you do get a chance to make it, I would love to see your quilt using this pattern! 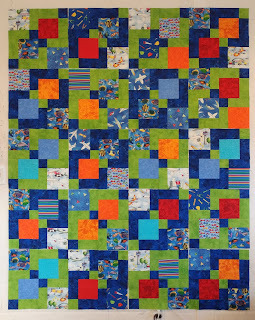 I want to send a special Thank You to Judy for letting me quilt it on her longarm. I used one of her Edge to Edge patterns that had a truck, a train, a plane and helicopter. Over in Life's A Quilt, fifteen of us fabulous quilters paired up together to collaborate in creating blocks for a quilt. We have called it Designer's Dream 2019. We wrote our own patterns for our blocks and had our partners test them. For the last two months, two block patterns were posted per week for us to sew along with. I am enjoying everyone's versions of their blocks, it has been so much fun! 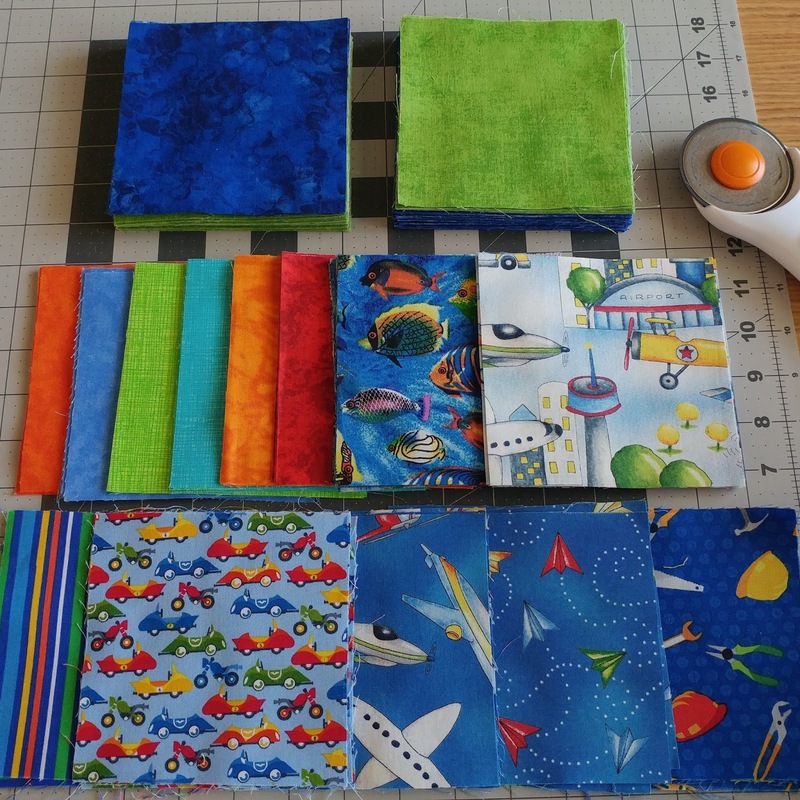 Since we are nearing the end of the sew along, I have been working on piecing together the blocks and of course, my scrap pile that has been created is HUGE! 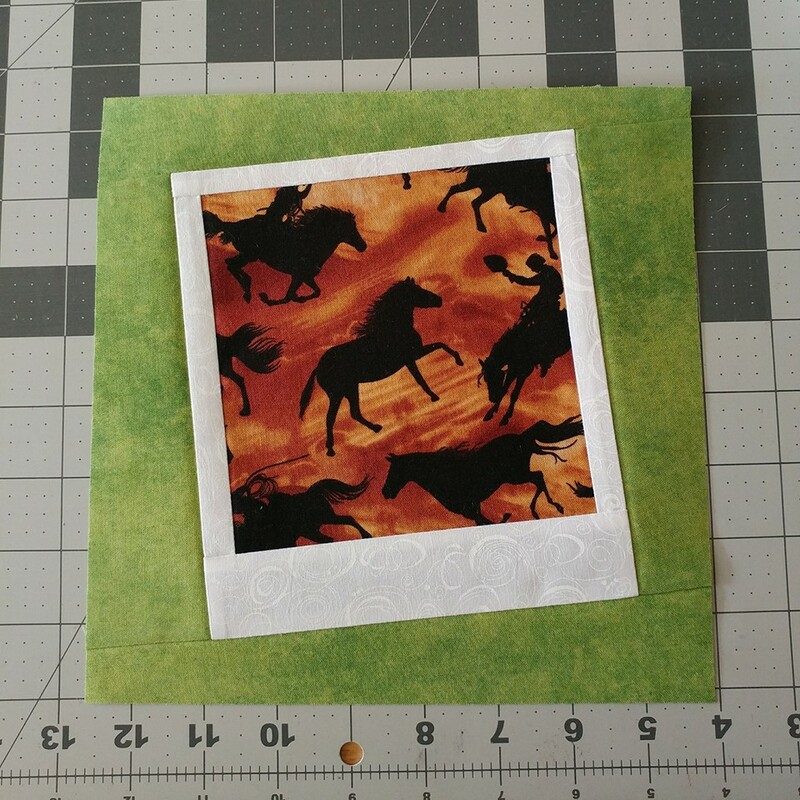 As I go along, making each block; I do try to use up scraps when they fit, but it doesn't always work out that way. Since I had a TON of scraps, I wanted to get as much of them as I could into a piano key border. BUT, I did not want to sit and count the length of my strips. Even I, had no idea of how many scraps I had! 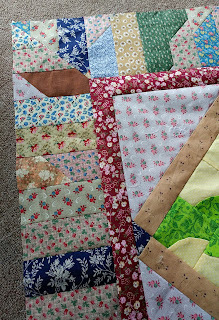 I decided the best way, would be to use a Jelly Roll Race (JRR) style of piecing. 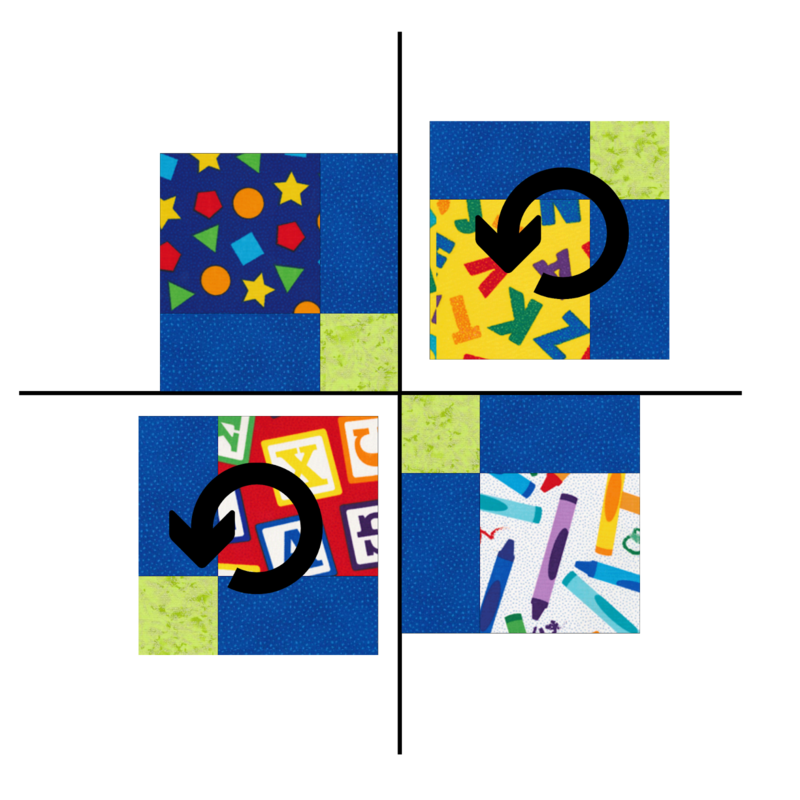 JRR piecing is when you sew all your strips end to end, fold in half, sew the 2 halves together, then fold in half again and sew the 2 new halves together again. For a JRR, this is repeated for a total of 5 times. Additional help, videos and tutorials for JRR can be found online. Let me take you back in time a little bit... 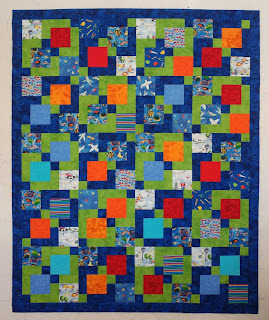 This is the quilt my Aunt was working on, the first quilt I used this style of piecing for a piano key border with. 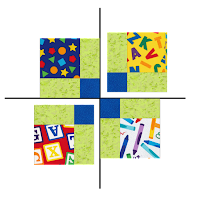 She had pieced all the blocks together and needed help finding a layout to tie it all together. I helped her by designing an on point layout with additional blocks to make it larger. 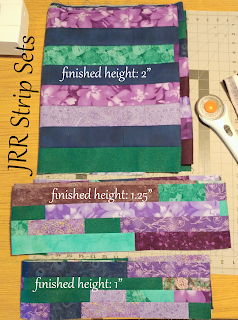 In order to finish off the border with all her scraps, I cut all the strips to the same width, so it made easy work for sewing them all together into one long JRR strip set and then sub cutting them to a certain width. After that, adding them to the sides of the quilt was a piece of cake! Admittingly, I had some strips left over, which told me I didn't get the best use of the scraps. I knew I had different widths of my strips. There was quite a few strips that were smaller than 2". 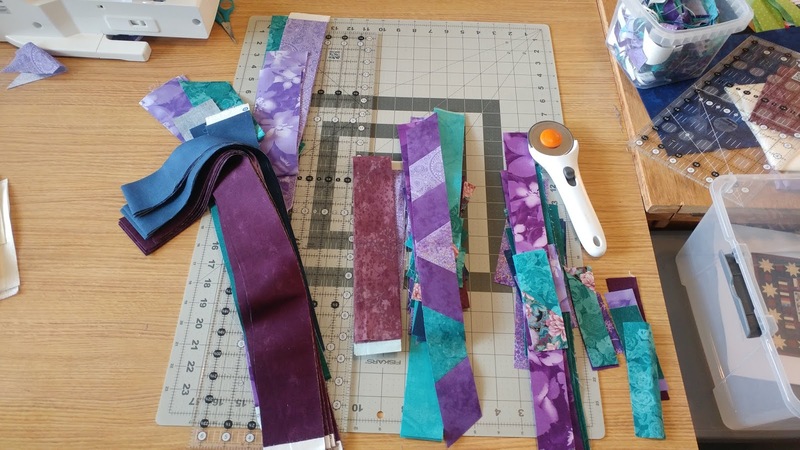 I had cut all my scraps into strips. I chose 3 different widths to cut my strips; 2.5", 1.75" and 1.5". 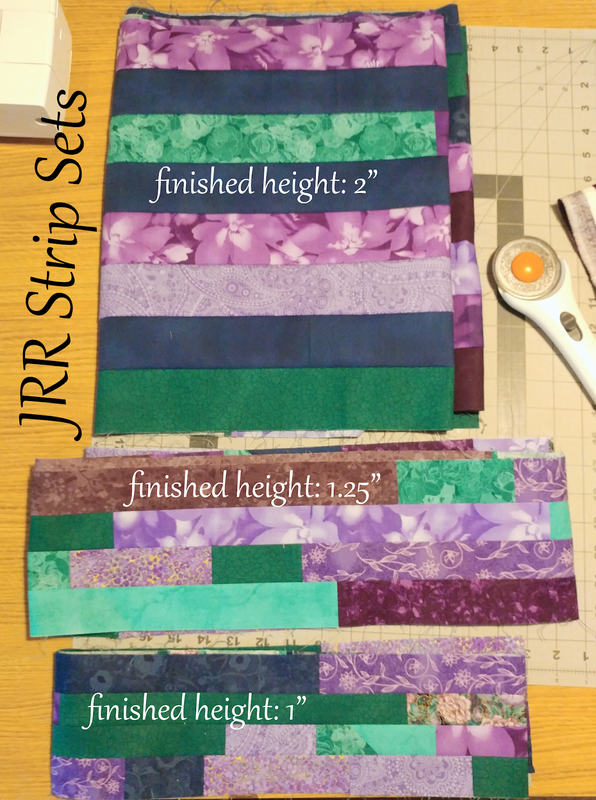 Rather than repeating the JRR folding 5 times for my border, I only folded in half 2 or 3 times; so I may have a variety in the placement of my strip set sections when I sew them together. I did not want to trim off triangles, so I did not sew my strips together at an angle, but rather a straight seam (either way you choose, will work with the calculator). I had all the math figured out and written down on my scratch sheet of paper, but then I had to go and get sick! Thank goodness for antibiotics!!! Now that I am on the mend, I wasn't going to make the same mistake again - figuring out what to multiply by what addition and division - yeah - even I couldn't understand the pen markings on my paper! Since then, I have written it up in a spreadsheet with nice descriptions, formulas and all. 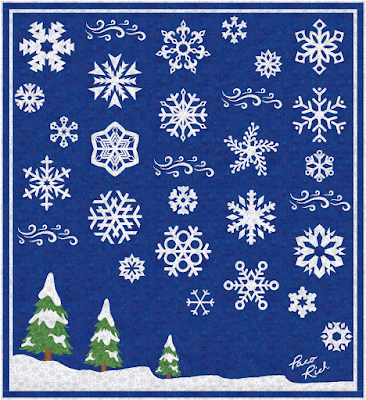 I thought I would make this available to you for use in your own personal quilting journey. Because this is the best & cheapest method in letting you have access, it is in an Microsoft Excel spreadsheet. Please, if you find any errors, let me know so I can make the changes. How wide should I / could I go? 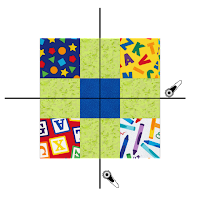 It is best to have the quilt center completed before continuing with adding a piano key border. 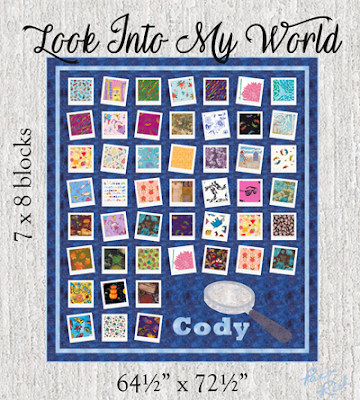 Also, include the measurement of any additional borders sewn on before you add the piano key border. Knowing the horizontal and vertical measurements of your quilt center is essential in making the calculator work. 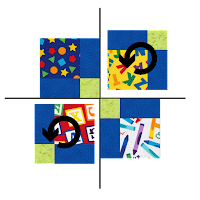 You will need to have your strips cut and sewn into strip sets using the JRR style of piecing. 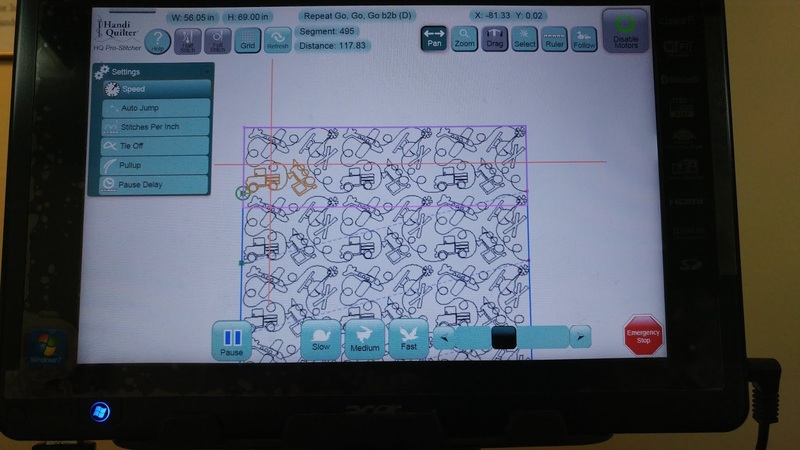 The information you need is the Finished Height of Strips, Total Number of Inches in the Strip Set Width, AND the Number of Strips in a Strip Set. See Image Below - Click on image to make it larger. You can have up to 3 different Finished Heights of Strips. Once you have your piano key border cut into strip set sections and have them ready to piece onto the sides of your quilt: sew a basting stitch on each side. 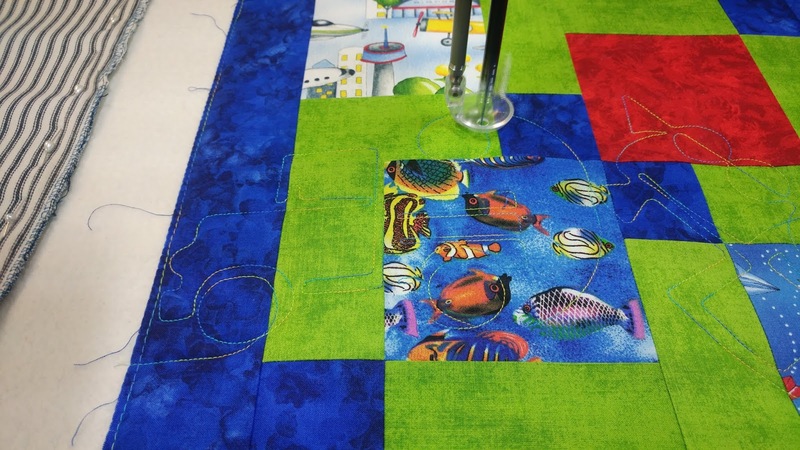 To do that, set your machine stitch length to 3.0 mm and sew 1/4" away from the edge. If it looks like the strip set is "puckering" lower your tension a couple of notches. This is to keep your threads from unraveling and to keep the sides from stretching and becoming wavy. Your Longarmer will love you for it too! This calculator works best if you open it on a computer using Chrome as your web browser. Once you click on the link below, download the file to your computer to make the changes. Click here to open calculator. I was so excited to be hosting a Block Of the Month! My very first, a success! Now that it is complete, I wanted to share some of the new and exciting things that happened! 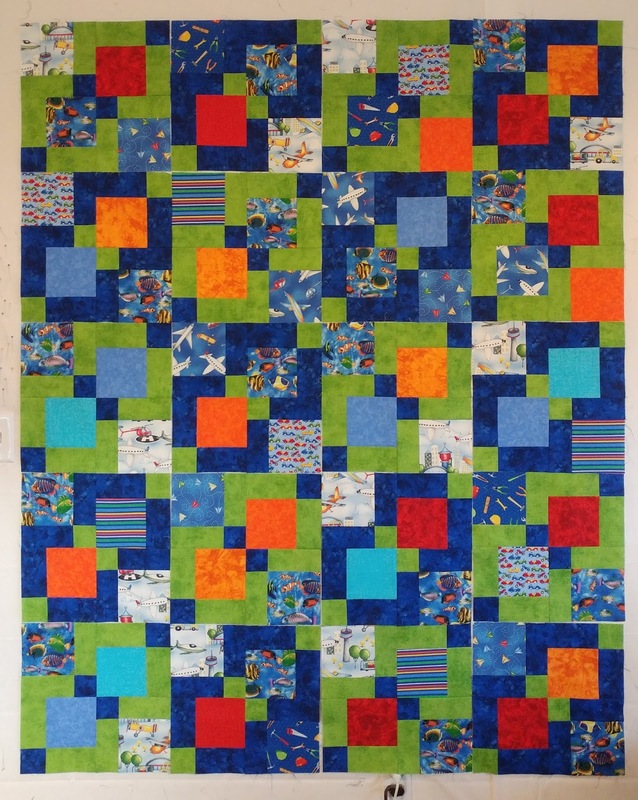 This BOM made a quilt top that measures 55" by 60" tall. 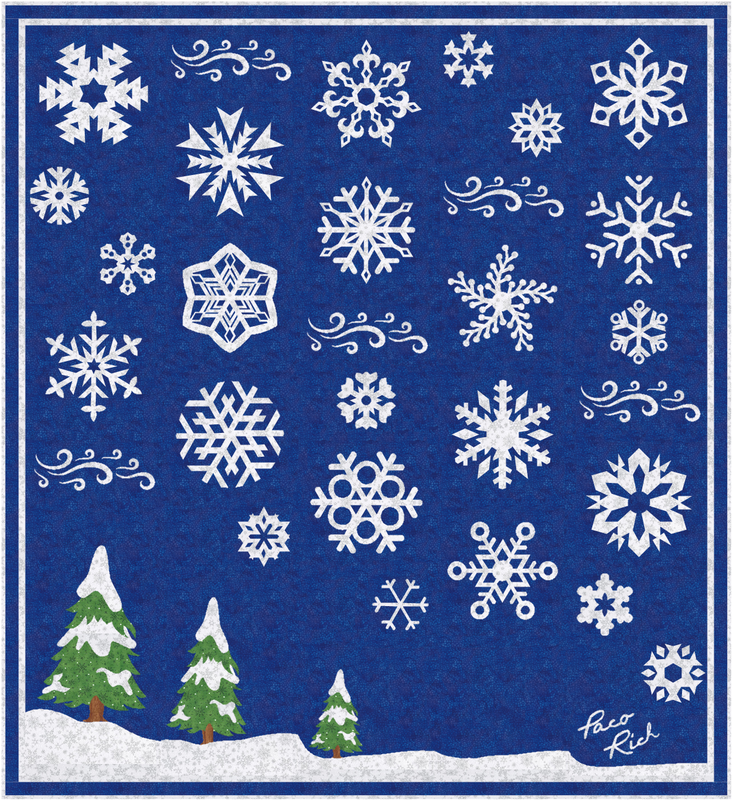 This large wall hanging has 24 different snowflakes and three different sized trees, all made using a raw edge applique with a machine satin stitch. AND each of the snowflakes have a name! Applique! 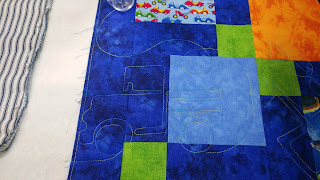 I know many start to panic at the mention of applique, but at the same time I was hosting this BOM, I was also teaching everyone how to satin stitch applique with a sewing machine. There was immediate assistance whenever one got stumped! - and you can still get help now if you wanted! 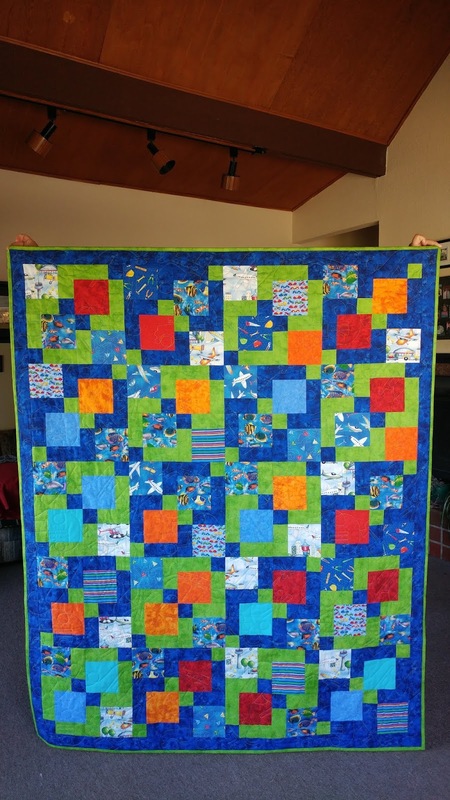 About midway through the BOM, my dear friend Diane said it would be cool quilt with the Grinch hanging out... I couldn't have agreed more! 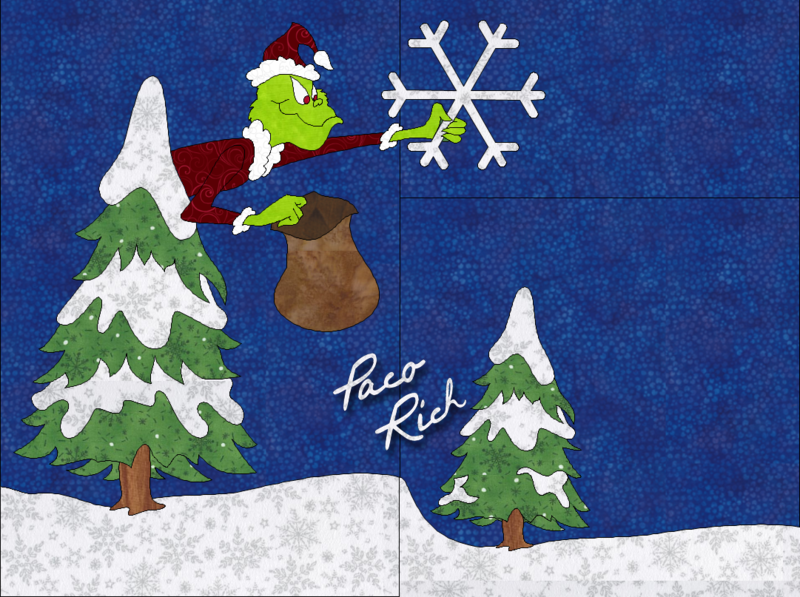 I stuck the Grinch up in a tree stealing the snowflakes! Later on, my fabulous friend Leslie said she was going to add a horse & sleigh. Well, I just loved that idea too! After much sleeping with the idea, I woke up and got started. I came up with the idea to use Sunbonnet Sue, Sam and the Horse Drawn Sleigh for my rendering. 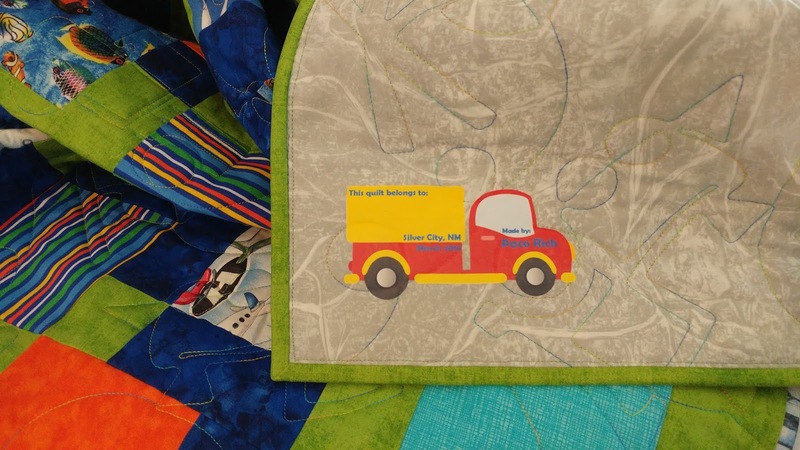 We had such a fun time with this BOM, you are welcomed to come view all our work, ask questions, and share images of your quilts. Block Of the Month started September 18th, 2017 - Blocks were posted on the 3rd Monday of the month. They were available for the duration of the BOM until September 17th, 2018. 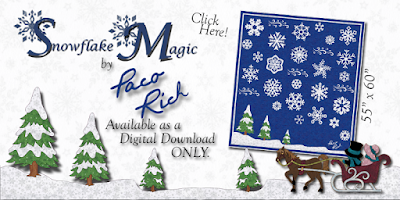 Now that the BOM is complete, the pattern has been made available for purchase as a digital download. Unfortunately, I do not own copyrights to the Grinch, there is NOT a pattern for him. 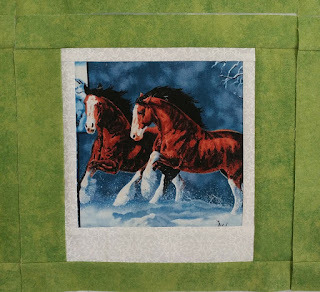 You can find the full pattern with Sunbonnet Sue, Sam and Horse Drawn Sleigh available for purchase here. ** Please be aware that the pattern has been condensed to 51 pages, but it is still a large file. Looking for the pattern with just Sunbonnet Sue, Sam & Horse Drawn Sleigh? You can find the smaller version of the pattern here. Once purchased, it will be emailed to you. 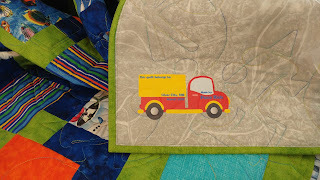 Thank You and Happy Quilting! 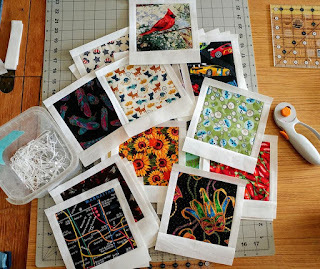 One thing I ALWAYS do when I visit a quilt shop is I try to buy some of their novelty fabrics, may it be a fat quarter or yardage - depending on how much I like it. I have a TON of large print fabric with no real rhyme or reason. Wheeelll - it's one thing to buy them, and another to actually find a pattern to use all of them. I figured it was time for me to make good use of them in a sort of "I Spy" quilt. 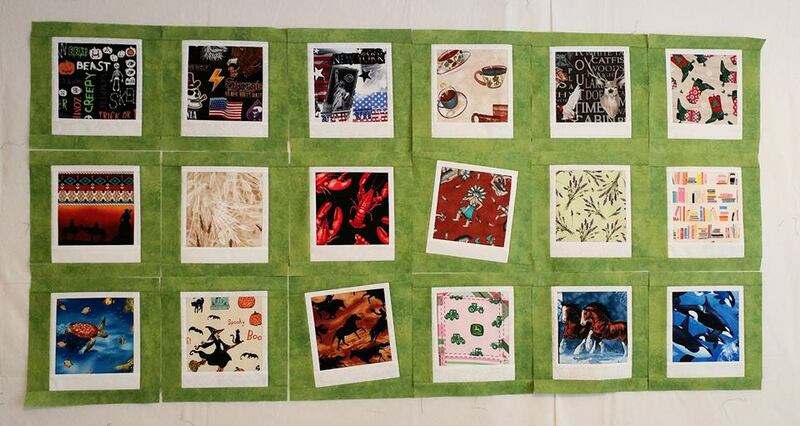 One of the things my friend wanted to do in her group; Life's A Quilt, was have a Polaroid Swap. 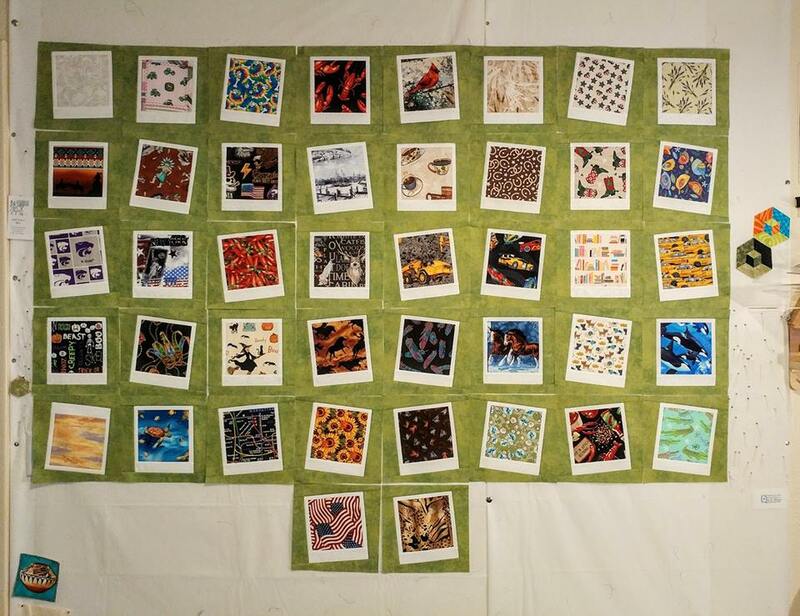 A swap where all of us swapped squares of fabric that represented our world. We were not required to have any one theme, the more variety we had, the better. 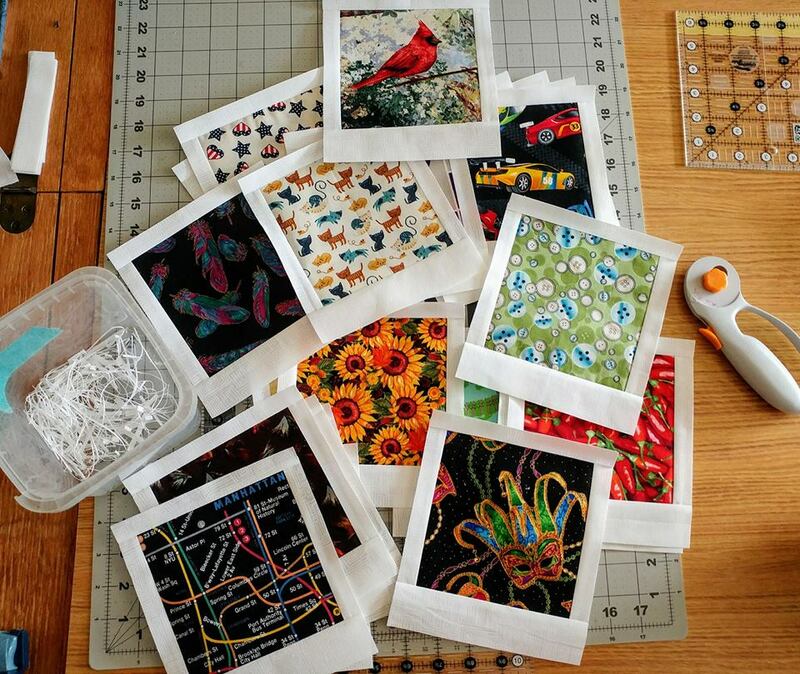 We were not to sew the squares, but once we received our fabric squares, we would make our own Polaroid Blocks. 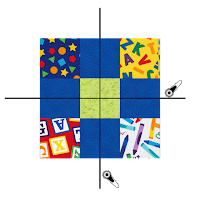 I must say, with forty-nine people in our swap, it went off without a hitch - everyone sent their squares and everyone received their squares - So WONDERFUL! 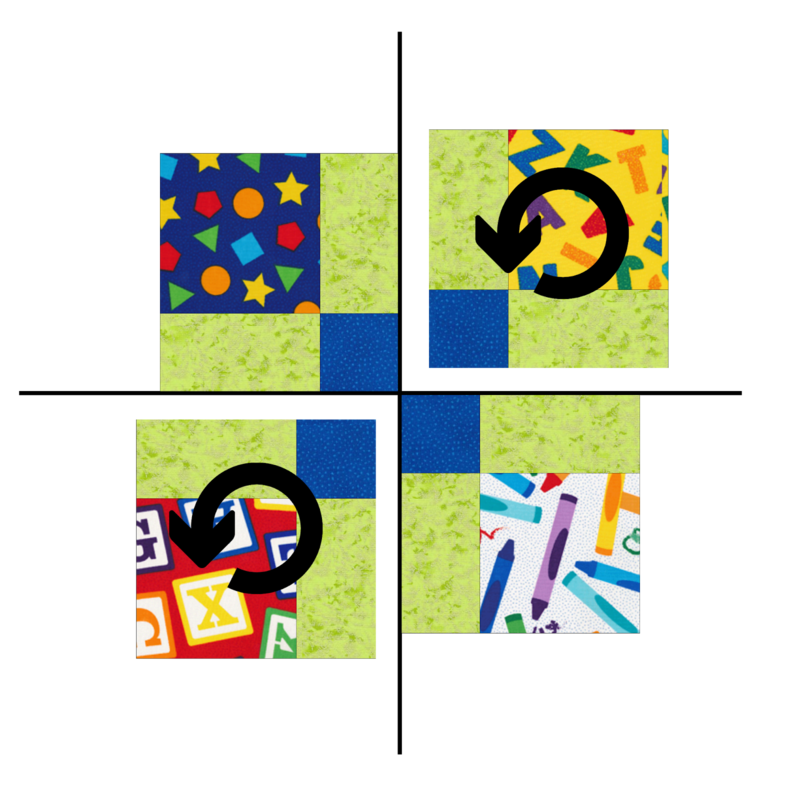 I loved all of my squares! 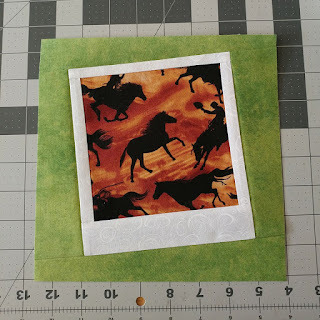 My guess is that many did not read the fine print as this was a Paper Piecing tutorial that would be provided with the swap, so when I did finally post the paper piecing tutorial, there was a cry for a regular piecing pattern. 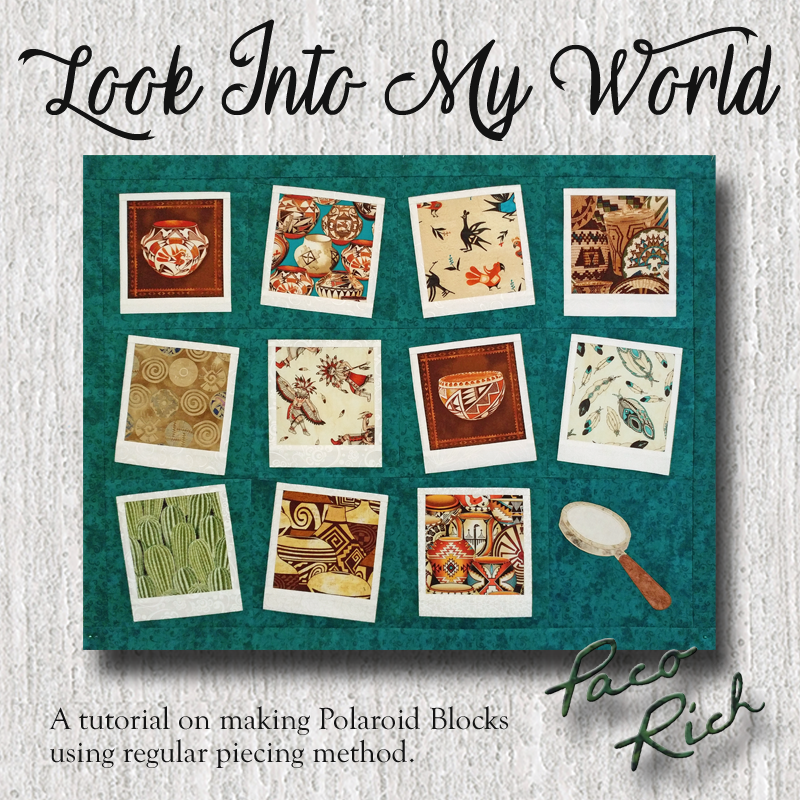 You can find the Regular Piecing Pattern by clicking here: Look Into My World Polaroid Block Tutorial. For both patterns, I have included the Fabric Requirements needed to complete two different sizes of quilts. I'm still working on my blocks I received from the swap. By the time I am finished, I will have a quilt that has 110 blocks and a small magnifying glass, roughly 96" x 88", a small queen sized quilt. I currently have 42 blocks made. 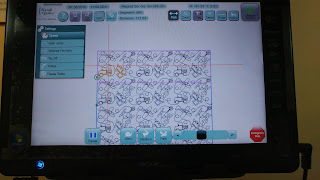 Sewing all 110 blocks at once seemed daunting - so I chose a few to do at a time. 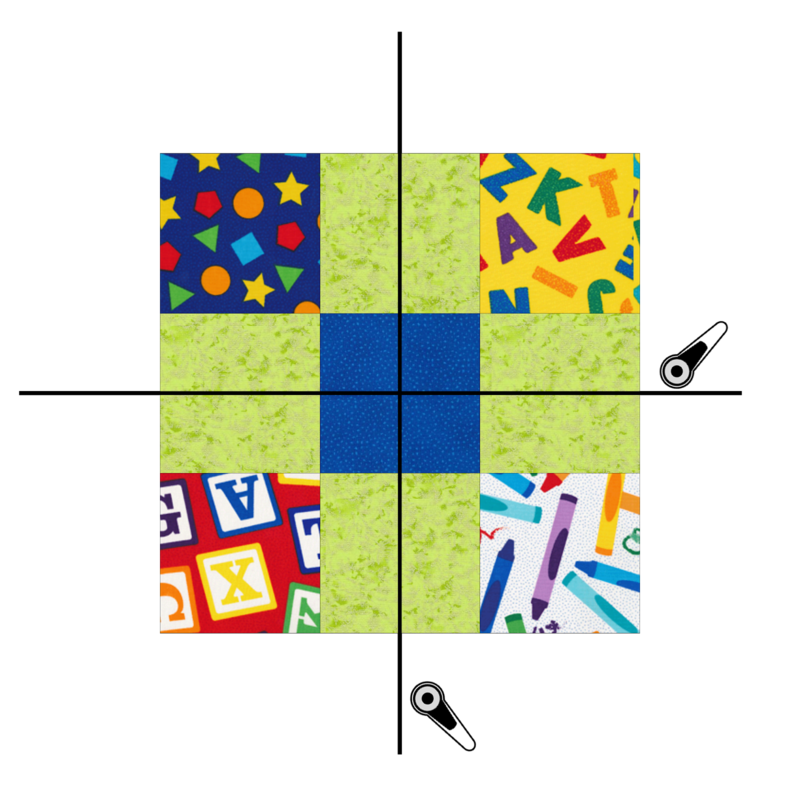 Also made it easy to make it random in the layout: Straight, Left Tilt, or Right Tilt. Started chain piecing the white parts of the Polaroid Block. 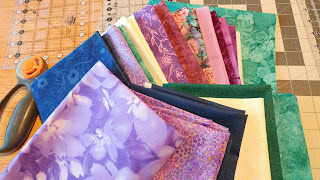 Really loved how some of the fabrics I received were highlighted by the block! Unfortunately, I had to set these aside so I could work on my other patterns. Once I get more polaroids made, I'll be updating my post. 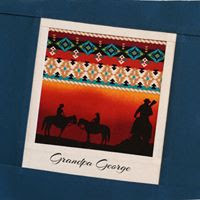 I am a Southwest New Mexico native, born and raised. In the mountains surrounded by nature, I am home. I am a mother and a wife, which keeps me on my toes. I have always loved to create with my hands. 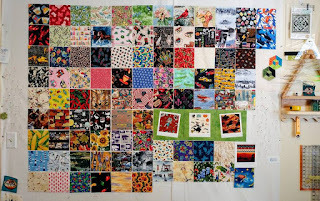 I started my quilting journey in November of 2014. 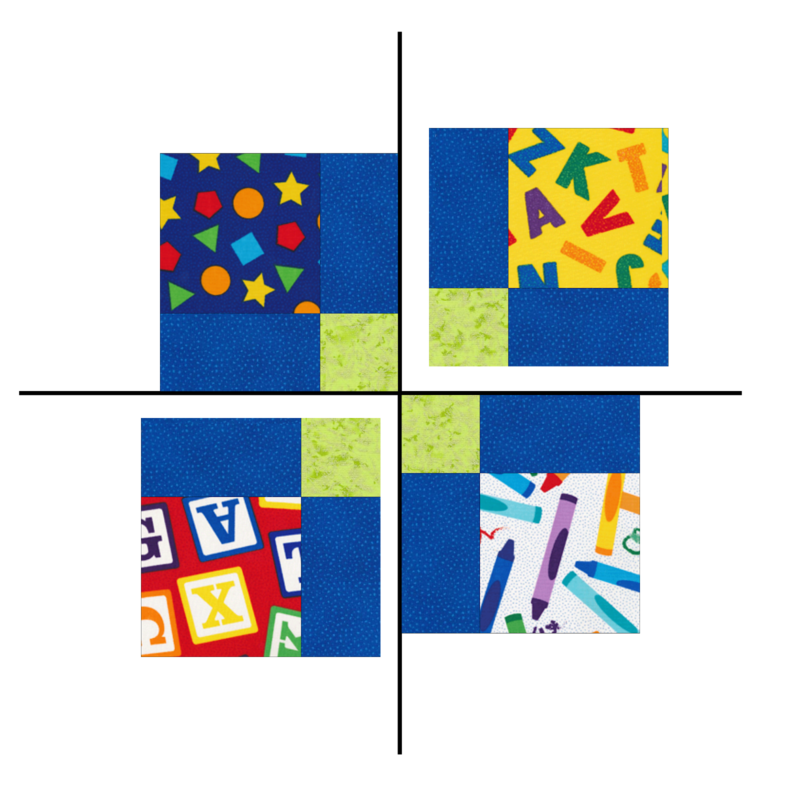 I'm a self-taught quilter. 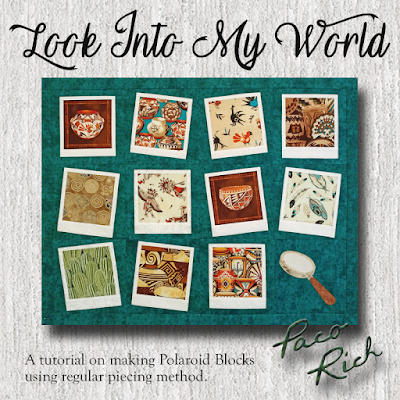 Since then, I have taught many classes on different quilting techniques – both online and face-to-face – my favorite being the 3D Hexagons and Easy Y Seams. 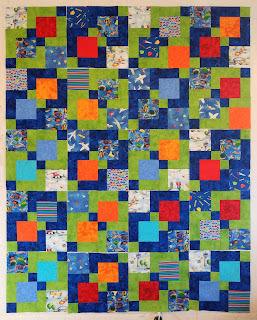 In the beginning of 2016, I was asked to help manage the Facebook quilting group: Life’s A Quilt, and since January 2017, I have taken the lead.